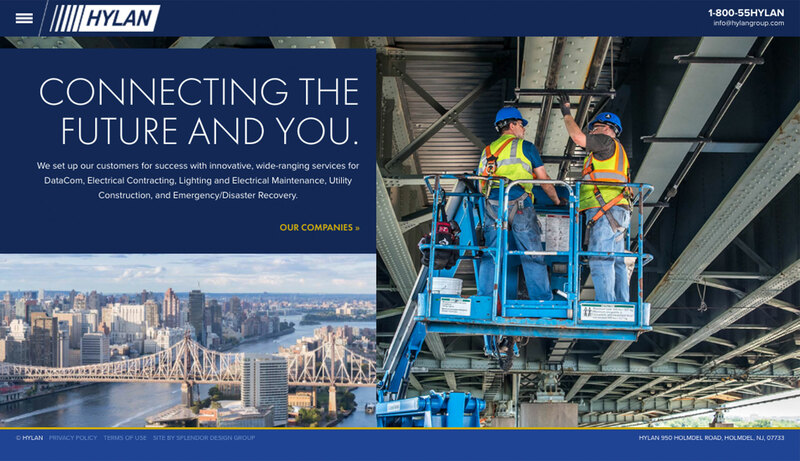 Hylan Datacom & Electrical offers their clients a deep array of services for DataCom, Fiber Optic Cable, Wireless Tower, Electrical Contracting, Lighting and Electrical Maintenance, Utility Construction, and Emergency/Disaster Recovery. 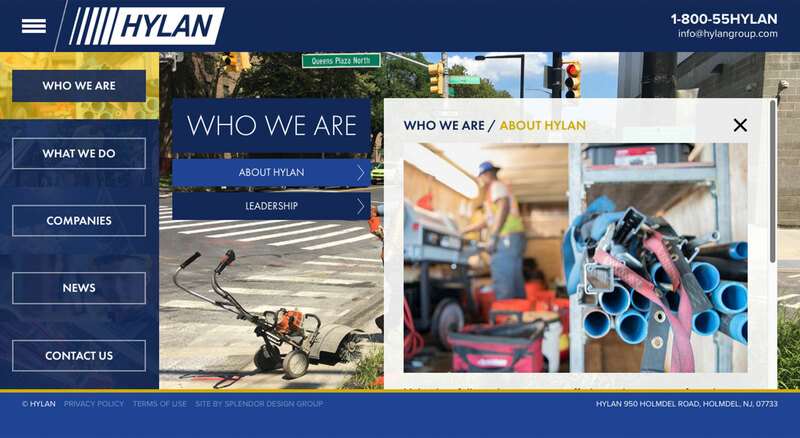 It was very important that Hylan had a newly designed website that was able to inform and educate visitors on who they are, what they do, and where they do it. 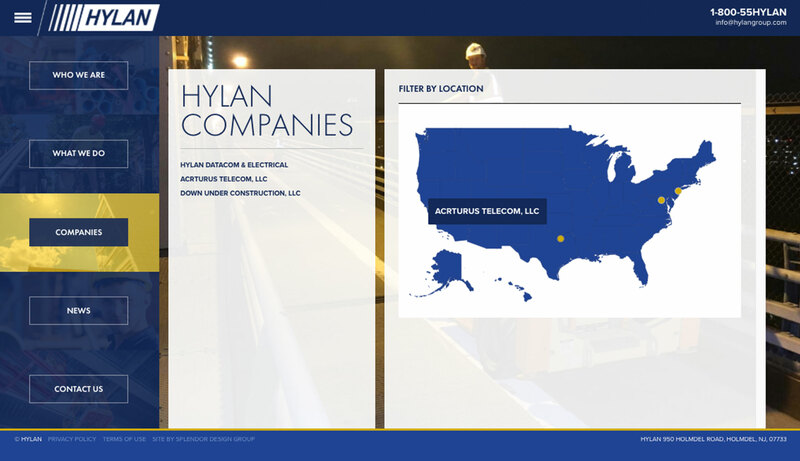 With larger sized font and a straightforward navigation, we made Hylan Group’s new website a strong asset to the business. Some of the advanced features included were: an unusual navigation style and user interface, sliding panels (which is app like), a custom location map, and we highlighted all of their custom photography to make sure this new website for Hylan Group was like no other.